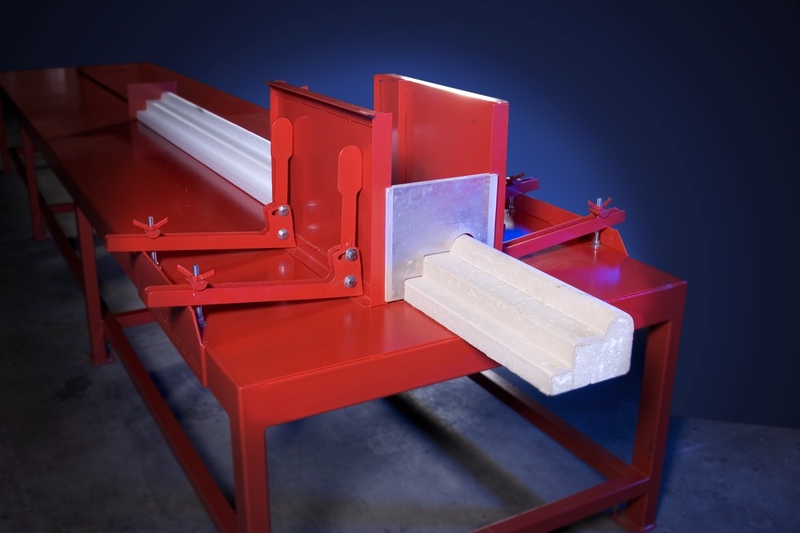 This specialized Linear EPS Foam coating machine is designed to coat EPS linear foam shapes. 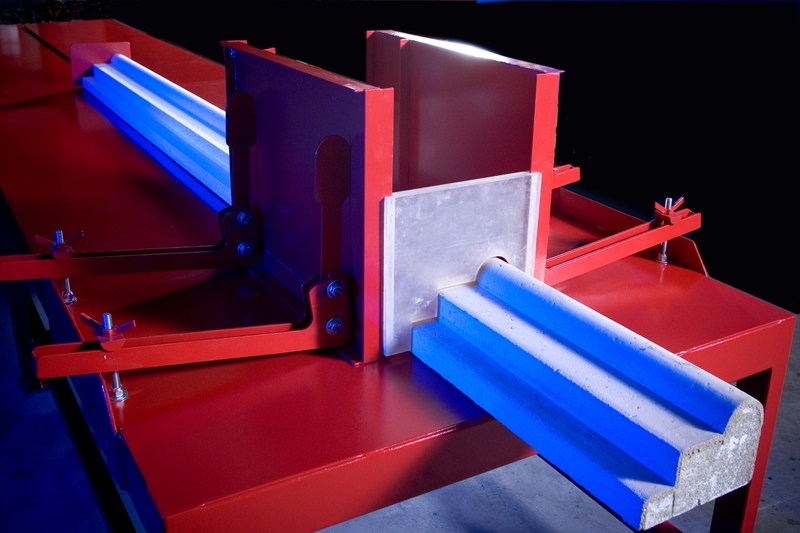 Our Standard Linear Foam Coating Machine accommodates up to 96″ long & 32″ wide pieces. The EPS foam piece is then placed on the table guide that runs the full length of the coating table. A variable speed motor powers the pusher mechanism, which pushes the foam shape through the “mud box”. As the linear EPS Foam piece enters and exits the mud box it goes through an acrylic set of tooling. The tools are the same shape as the foam piece except the cut out portions are larger than the foam piece itself. The gap between the tooling and the foam shape determines the thickness of the coating. Which creates an accurate, evenly coated EPS Foam shapes every time! 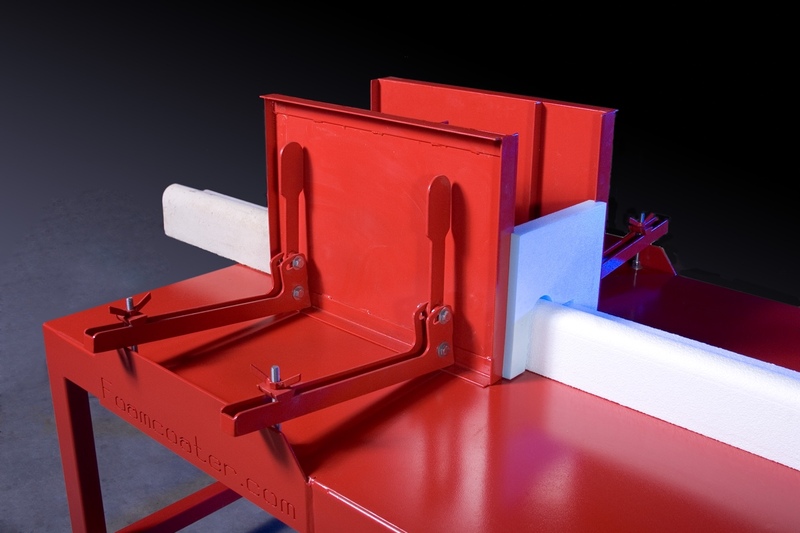 If using Xycorp’s very own Auto-Coat® foam coating material you will not need to mesh the EPS Foam prior to coating, however you should check with your local building codes. 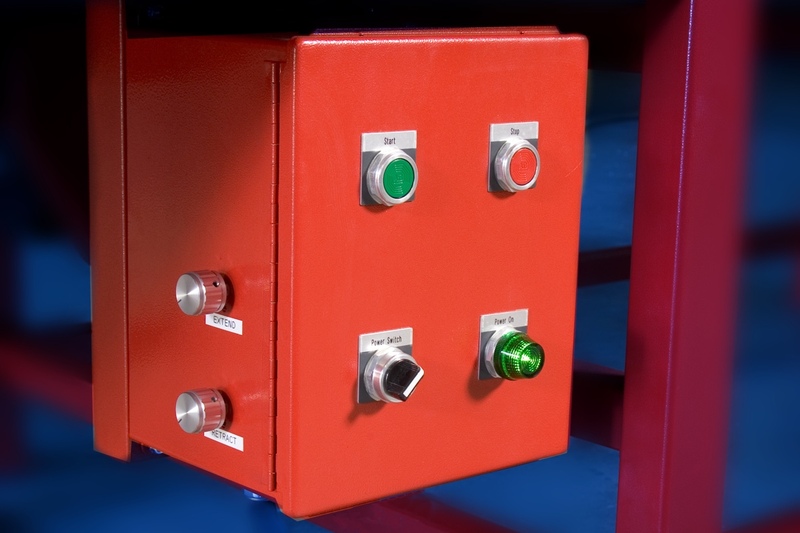 Controlled by a PLC (Programmable Logic Control) and has proximity sensor switches to control and adjust the length of both the forward and return stroke. 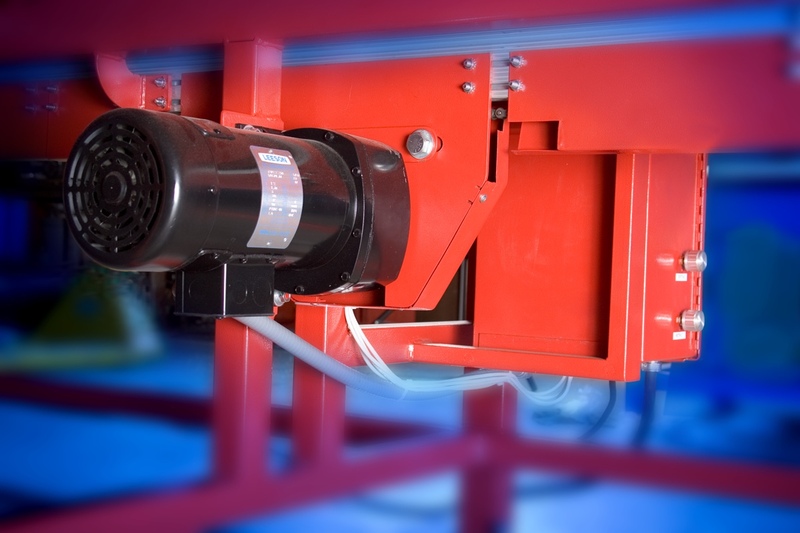 The forward and return speeds can be controlled independently. All the controls are enclosed in a protective box under the table. 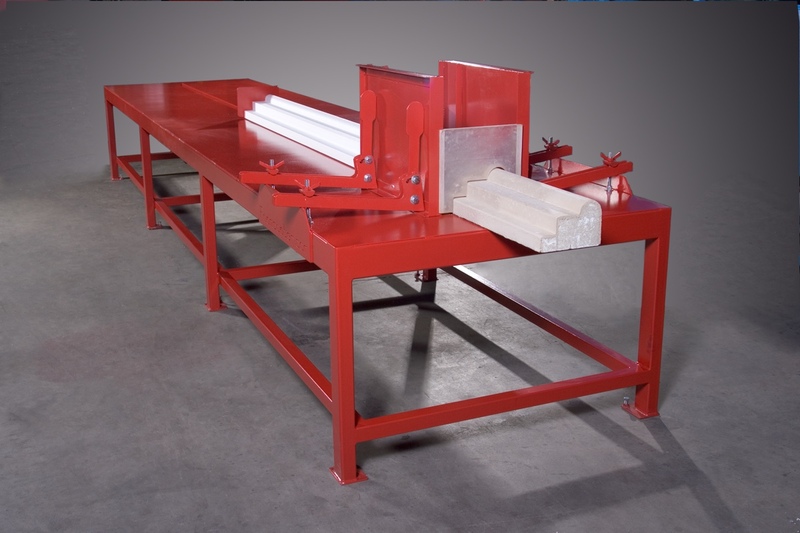 This machine has been built with a solid steel frame to withstand the rigors of a production environment. This user-friendly machine can coat up to 800 linear feet in about an hour with only two workers. Whether you are in the plastering, pre-cast business, or would like to expand your existing foam shop, you will see the advantages of producing coated foam shapes with Xycorp’s Linear Coating Machine. With the reduced labor cost and the added value in EPS coated foam shapes this machine will in most cases pay for itself in the first year.